Nancy Watters has been leading groups in chant and sacred world song since 1995. She would be delighted to present a customized program for your group, at a time and location that is convenient for you. 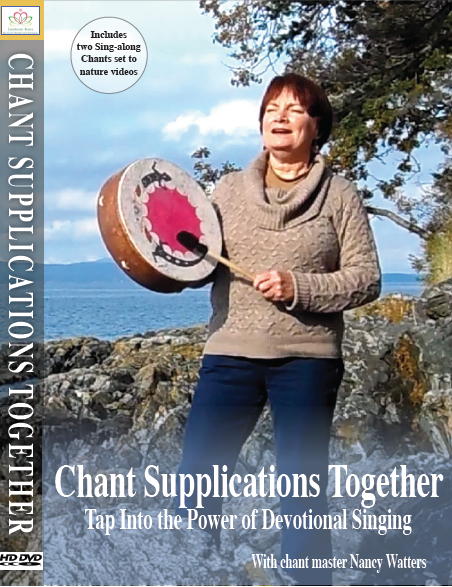 Chant Supplications Together is a 16 minute documentary that demonstrates the delights of chanting in a variety of spiritual, cultural and musical styles. Sing along with the sound track, or create your own chants, using a simple step-by-step process demonstrated in the film.